Study on more off grid power for rural villages | Daily Express Online, Sabah, Malaysia. KOTA KINABALU: The Energy, Technology, Science, Environment and Climate Ministry (MESTECC) is looking into how more rural villages in Sabah’s interior can be electrified using off grid green electricity systems. 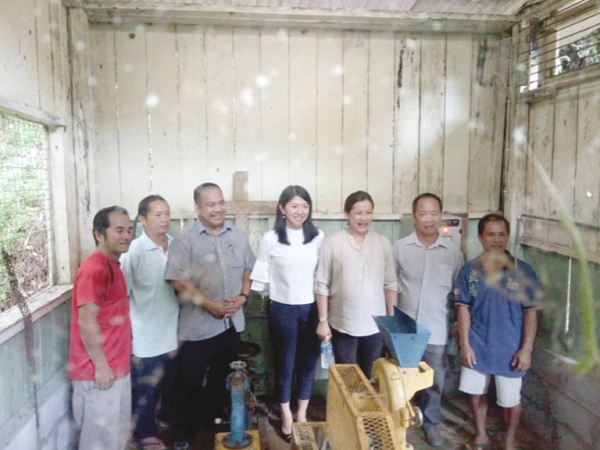 In a working visit on Sunday to the Solar and Micro Hydro project at Kg Terian, a rural village in Penampang, its Minister Yeo Bee Yin said her visit was to see how her Ministry can work with the Rural Development Ministry to ensure adequate electricity supply for villages in the State’s interior areas. “The visit is to see if the system can be improved and become more effective so that it is cheaper for the Government and there is continuity of electric supply,” she said. Yeo said what happened in the past was that a government-appointed contractor would go to a village and do an expensive power project and left after the project was completed. “After that, there was usually no further maintenance and ownership of the infrastructure. “I have seen in many villages expensive power systems set up by contractors which tend to break down in the short run whereas those community maintained systems tend to last much longer. “We now have a new system where we give the infrastructure such as solar panels but run and maintained by the community who will be provided a small allowance for maintenance. So this is a pioneer project. “So for infrastructure development in the rural areas, people development is as important as the hardware. “We also need to be able to do more community organising and training for more villagers to be able to maintain the systems where they can make it a livelihood and become self-sustainable. “It is unfair that only children in the urban areas have access to uninterrupted electricity supply for study. Children in the rural areas also have a right to uninterrupted electricity supply so that they can study properly. “This is the goal of my Ministry and the new Government so that each child has the opportunity to study with enough facilities. “It is our hope that with such pioneer projects, we can scale it up for more villages in the interior in Sabah and the peninsula. “The speed of scaling up is of course dependent on how many villages are fully prepared for this in terms of trained manpower and capacity. In the first quarter (this year), we are looking at five villages in the State tentatively (to be identified for electrification). “This is because total electrification of villages in the State’s rural areas is lower than 90 per cent vs 98 per cent rural village electrification in the peninsula. “So we are looking at the micro-grid (not connected to the main power grid) power system in Kg Terian as an example.